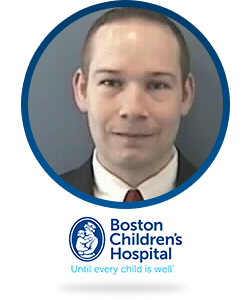 David Gates is the Director of Ambulatory Training and Technology Team at Boston Children’s Hospital. He is responsible for providing innovative technology solutions to support ever evolving healthcare systems. With a focus on front-end processes, David led the implementation of a cross-specialty algorithm to streamline the scheduling process to allow any staff across the Enterprise to schedule the right patient, with the right provider, and in the best location. His latest endeavor transforms the patient arrival experience from a manual and inefficient process to a streamlined digital experience focused on patient self service options. As a progressive visionary, David created collaborative relationships over his 20 years at Boston Children’s. His team regularly presents at national meetings on front-end technologies supporting and disrupting operations. David maintains Epic certifications Cadence, Registration/ADT, Welcome Kiosks, and Security.